On November 30, 2012, Rozalie Hirs’s composition article 5 [dolphin, curved time] (2008) is performed by soprano Stephanie Aston as part of the Artist Concert Series of San Diego New Music in La Jolla, California. On November 17, 2012, Zichtboek van gestamelde werken (2012) is launched: an interactive, digital poetry website based on six poems/ cycles from the collection gestamelde werken (Amsterdam: Querido, 2012) by Rozalie Hirs. Concept, design and programming by Cox & Grusenmeyer. Read more. 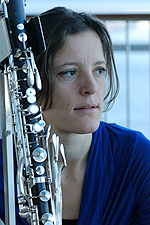 On November 13, 2012, at 19:00, in honor of Karnatic Lab, Fie Schouten performs the composition article 7 [seven ways to climb a mountain] by Rozalie Hirs at De Badcuyp, Amsterdam. Sunday, November 11, 2012, in the afternoon, the new composition article 7 [seven ways to climb a mountain] for bass clarinet and electronic sounds is premiered during November Music. Fie Schouten performs the work in three recitals at 12:30, 14:30 and 17:00, in the Lutherse Kerk, Den Bosch. The three recitals each last one hour. Also on the program: works by Theo Loevendie and Karlheinz Stockhausen. Location: November Music, Kunstmuziekroute: Lutherse Kerk, Verwersstraat 49, Den Bosch. On November 2, 2012, at 20:00 Rozalie Hirs gives a reading of her poetry during the international poetry festival Poetry Hearings in the St. Gaudy Cafe, Berlin, Germany. 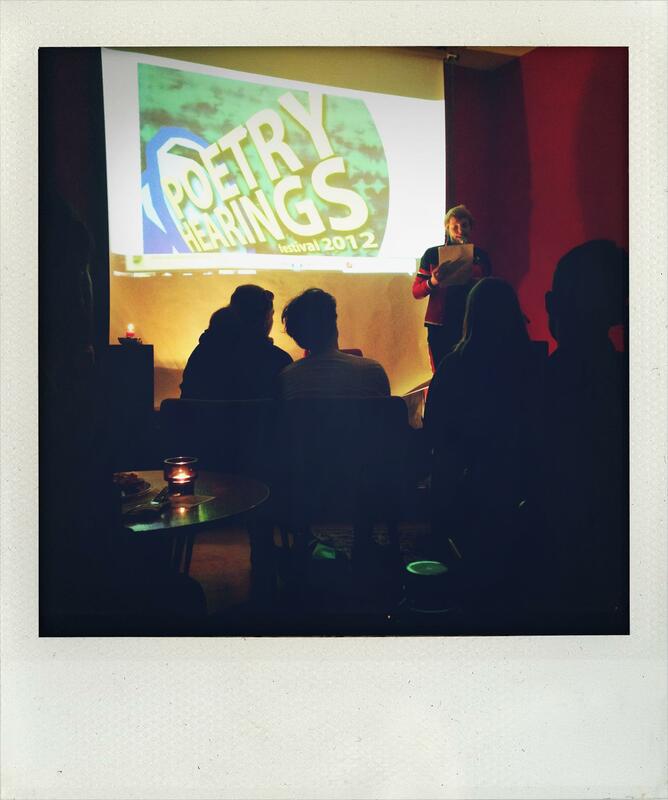 In addition to Hirs, invited poets include Stephan Delbos (Berlin/ Prague), John Hartley Williams (UK/ Berlin), and Christian Hawkey (Brooklyn/ Berlin). 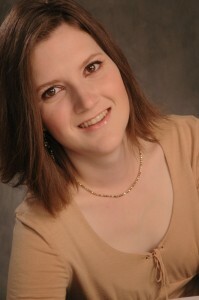 The festival curator is Catherine Hales.